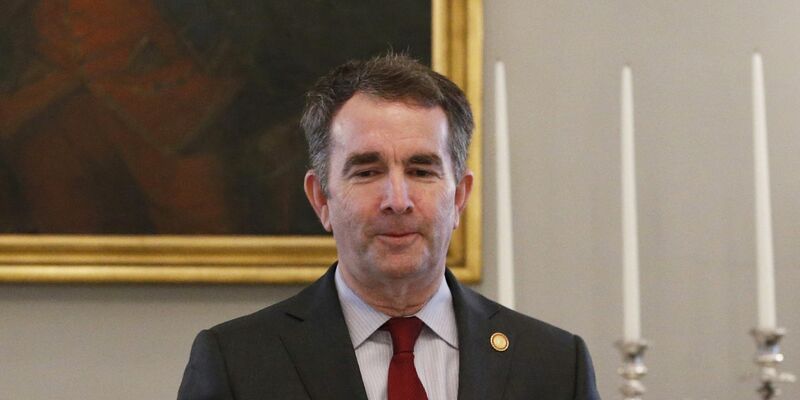 RICHMOND, Va. (AP) - Two months after a blackface photo in an old yearbook nearly ended the political career of Virginia Gov. Ralph Northam, his life seems mostly back to normal. "I love him and he's true and I believe in him and I trust him," she said. It's a remarkable turnabout, just two months since Northam was nearly driven out of office. And it highlights the volatility of politics today, with new scandals sprouting constantly, only to be forgotten when some other reason for outrage arises. There's no question that President Donald Trump's scorched-earth responses to scandals have changed the perception of what a politician can survive, he said, but another game-changer was the Democrats' summary take-down of former Minnesota Sen. Al Franken last year over sexual misconduct accusations. Levick said Democrats are no longer as eager to force resignations, and he doubts Franken would be out of office if his scandal had erupted today. "We're seeing a modulation back to the norm, whatever that norm is," Levick said. "Yes, I regret what happened, but I've got a job to do and I'm all in," he said. At a news conference the next day, Northam said he was convinced it was not him in the picture, and he said he wasn't going to resign. But he said he did in fact wear blackface once decades ago, to look like Michael Jackson for a dance contest. And before his wife intervened, he seemed as if he might even do the moonwalk for reporters. That shaky performance prompted even more calls for him to resign, making Northam such a pariah that for days, he had to use an underground tunnel system between the Executive Mansion and his office to avoid being seen in public. A few days later, Northam had to be corrected during a television interview when he used "indentured servants" to describe the first slaves who were brought to Virginia 400 years ago. But Northam got some breathing room when scandal soon enveloped his potential successors. Two women publicly accused Lt. Gov. Justin Fairfax of sexual assault, which he denies, and Attorney General Mark Herring announced he'd also worn blackface in college, just days after calling on Northam to resign. Both Fairfax and Herring have also resisted calls to resign. And other politicians around the South soon had their own explaining to do over yearbook images taken long ago. Northam was all but invisible in February and much of March, but in recent days, he's made public appearances highlighting his efforts to address racial inequality during the rest of his term. He was in Charlottesville Tuesday promoting a budget amendment that would eliminate the suspension of driver's licenses for motorists with unpaid court fines and costs - a practice critics say disproportionately hurts African-Americans. Northam also wants more spending for the state agency that tries to help minority-owned contractors. And he's directed top education officials to lead a "deep dive" into how public schools teach our nation's racial history. "The curriculum we're using in our K-12 public education system is both inadequate and also inaccurate," he said. Republicans have called Democrats hypocrites for standing by Northam's side again as this year's legislative elections approach. All the state's House and Senate seats are up in November, and Democrats are hoping to secure a majority in both houses. "Democrats are willing to sacrifice their morals and values to stay in power," said Republican Party of Virginia Chairman Jack Wilson. On Monday, Northam announced he is speeding up spending to modernize a sprawling mental hospital outside Petersburg that housed African-American patients for decades after the Civil War, and still operates as an overcrowded facility for people in custody for psychiatric reasons. Del. Lashrecse Aird appeared with him at the hospital, praising the announcement and saying she's glad he's not letting scandal distract him. Aird is a member of the black caucus and has been openly critical of the governor. When asked if she still thinks Northam should leave office, she paused for several seconds, and then said "we're at a phase where we are bridge-building." She said she doesn't plan to rescind her call for Northam to resign, or make any more formal statements about the matter.